You will be very impressed from the first moment you see the 8′ x 5′ Lifetime Heavy Duty Plastic Shed. It has an amazing modern design and despite the good amount of space that it offers for storage inside, it does not actually require a whole lot of room in your garden. 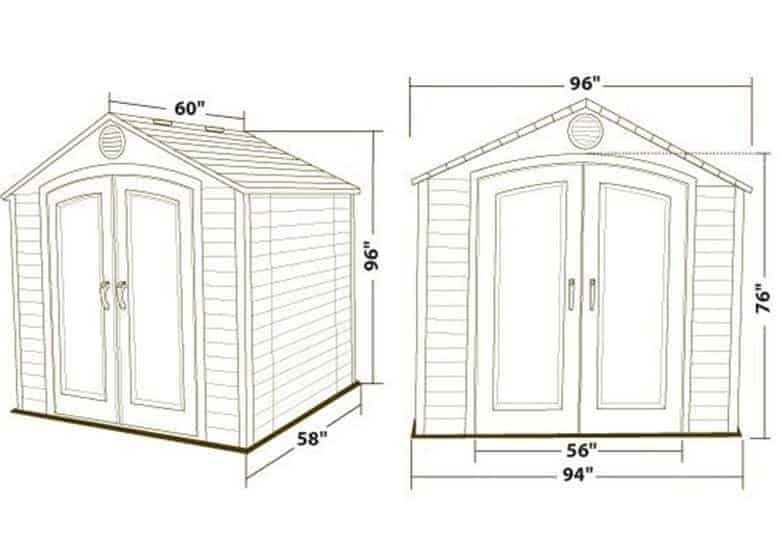 The two huge double doors on the front of the shed look great and when opened you really get to appreciate all the extra storage space this shed is going to give you. 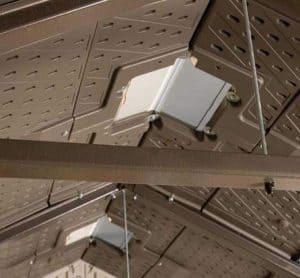 The overall look of the shed is very high quality, but the materials which have been used will ensure that the shed is every bit as strong as lovely looking it is. High density polyethylene has been used in the construction of the shed and this material can take anything the weather can dish out. 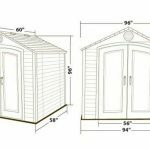 With thick walls and a strong galvanised steel frame, this is a shed that is very durable and will be able to stay in your garden for many years. One huge bonus of this shed is how it is so easy to look after. 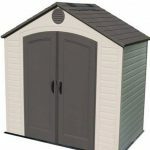 There is no yearly treatment required with this shed or any other kind of upkeep, you just build it and then it will be there to look after your things for many years, without you have to do anything to look after it in return. 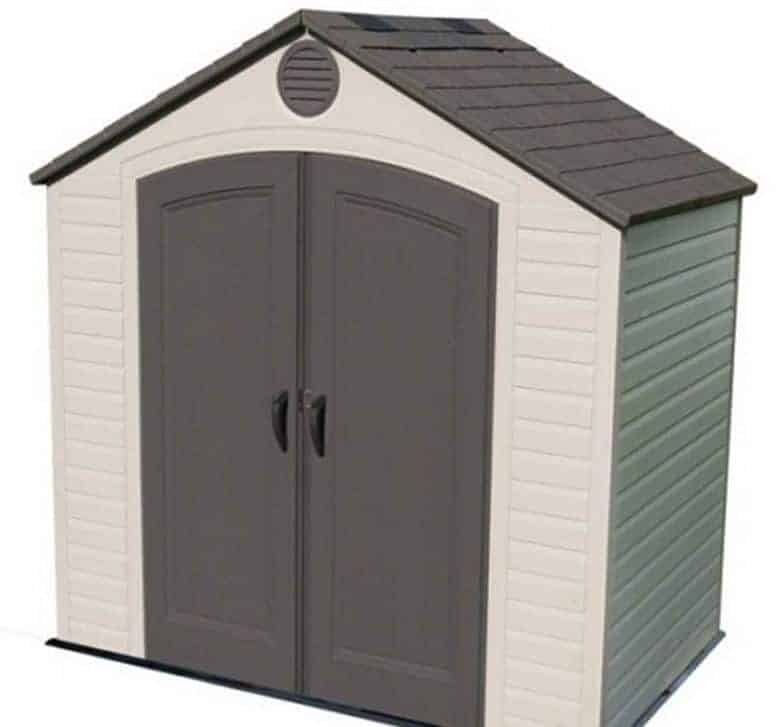 The 8′ x 5′ Lifetime Heavy Duty Plastic Shed really is one fantastic looking shed. When this is erected in your garden there is no way that it is not going to be a stand out feature. It has just such a high quality look to it that most people are going to be very surprised when you tell them that it cost way under £1000. 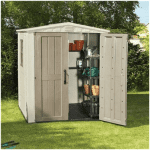 One thing we love about this shed is the way that it does not take up a lot of space in the garden, but if you are smart with how you organise things inside then you do have a lot of room to make use of. With a width of 7 feet 10 inches and a depth of 4 feet 10 inches this is more than enough room to store many different items. The height is very impressive with the ridge being 8 feet high and the eaves 5 feet 11. This type of headroom is just amazing and will ensure you are comfortable when pottering around inside. The roof looks incredible while this is made from some high density polyethylene it has been moulded so that it resembles a slate roof. 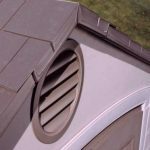 What we love about this is that you get the great look of a slate roof, but without any of the maintenance required to look after it. The roof will keep the rain out as it is an apex roof which will not allow for any rain to sit on top of it. The panels used are a very solid 20 mm thick so they will be able to take the weight of even the heaviest snow fall. The walls of this shed have been made to the very highest standard and just like the roof they are made from high density polyethylene. The walls to give them added strength are double walled, making them 40 mm thick which is some of the thickest panels we have ever seen on a shed. This is one sturdy shed, but thanks to the way the panels have been made it also looks very appealing. The walls have a kind of shiplap cladding look to them and at first glance they do look like they are made from actual wood. We actually think that this shed would be very strong if it was made just from those 40 mm thick high density polyethylene panels, but incredibly, Lifetime have actually put a frame in here as well which makes this one of the most durable sheds you will ever see. The frame is a lightweight, but very strong galvanised steel frame that gives the shed that little bit extra backbone which will help keep this standing strong for decades. Like the rest of the shed, Lifetime once again have used that high density polyethylene for the flooring. 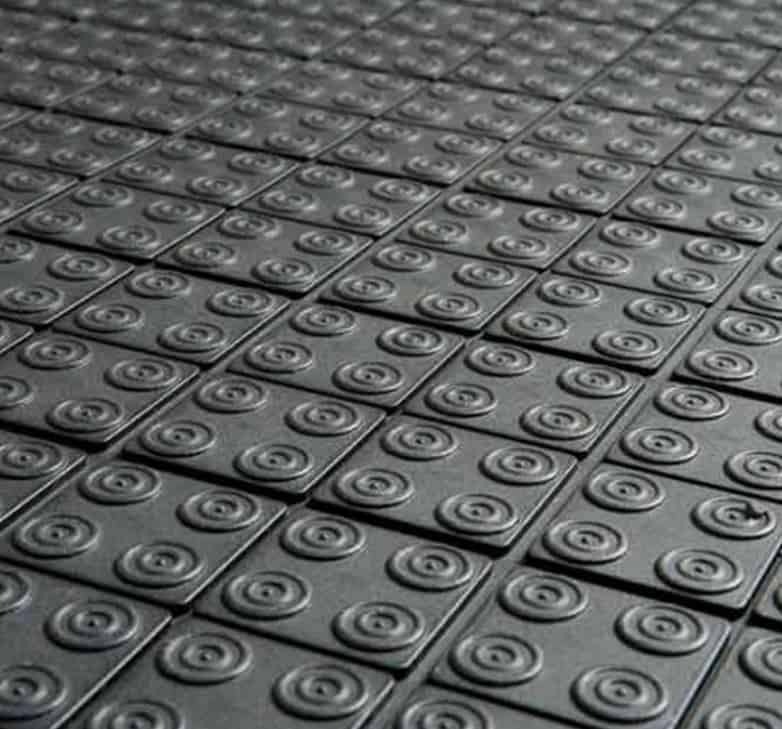 This is one very sturdy floor and it actually has the look of a floor you would expect to find on a high priced workshop. 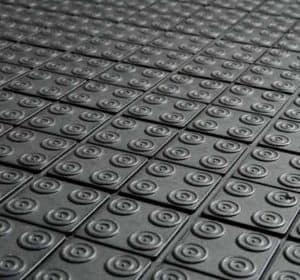 We know that most people do not really care what a floor looks like, but it is nice that they did make an effort to make the floor appealing. The floor is a good 10 mm thick and this is good enough to take the weight of many things, even something as large, bulky and heavy as a ride on mower. 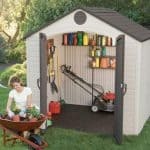 The 8′ x 5′ Lifetime Heavy Duty Plastic Shed is going to be a huge hit with people who want a shed that just stands there and does its job without requiring a whole lot of maintenance. These types of materials will never rot and best of all they require no treatment from you. Even cleaning the shed is just a case of turning the garden hose on it every now and again. As is the case with the other Lifetime sheds that we have seen they give you a very generous ten year guarantee with the shed. We love these barn style doors that are on the shed. When closed their slightly arched design makes them the most standout features that this has. When open these doors give you lots and lots of room to get in and out of the shed. We do not see anyone having any kind of issues trying to get things inside here. 6 feet 4 inches is the height of the doors and when both are open you have 4 feet 8 inches of width. Each door has two high quality hinges to keep it in place, also each door has its own handle. As this is a shed that is rather compact in its design there are no windows on it, but those doors along with the air vent will allow a lot of fresh air inside if you happen to be working in here on a hot summers day. Those 40 mm thick walls make this one very tough and secure shed that is going to be able to take anything the weather or even the kids and pets can throw at it. Those doors shut very securely, but if you want to add that little bit extra security to give you peace of mind at night then a cheap padlock will do the trick. The lack of windows mean that when this is locked up there is no way to see what is inside. This is just perfect if you plan on keeping a few rather expensive things locked up in here. The shed has a great look with the walls being white and the roof and doors being a dark type of grey. This we feel will blend in with any style of garden. This is good as these type of sheds as fantastic as they are do not allow for any customisation. The only extra that you may want to buy is a padlock to keep the doors securely shut in the evenings and for when you are away from home. We are still having a very hard time trying to get our head round how Lifetime have made this shed such high quality, but have also been able to keep the cost at way under £1000. These types of materials have been selected because they will easily last for 20 or more years and show next to no signs of wear and tear in the process. While this is not the largest shed we have seen from Lifetime. The storage space on offer here should still be more than enough for most people. Especially with some clever planning and use of shelving inside. To be honest this is not going to be a huge DIY job. It will take you and a person helping you around four hours to build. This is excellent value for money. 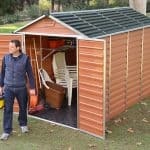 We love the great look of the shed, the storage size and how long lasting it is. 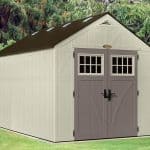 Final Thoughts: Offering you a very good looking place to store all your items, the 8' x 5' Lifetime Heavy Duty Plastic Shed is something that has impressed us a great deal. The price to start with is just incredible. 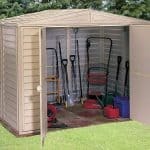 This is a shed that actually could be the only shed that you will ever need to purchase. That is how good these materials are, they are solid and they require no looking after. 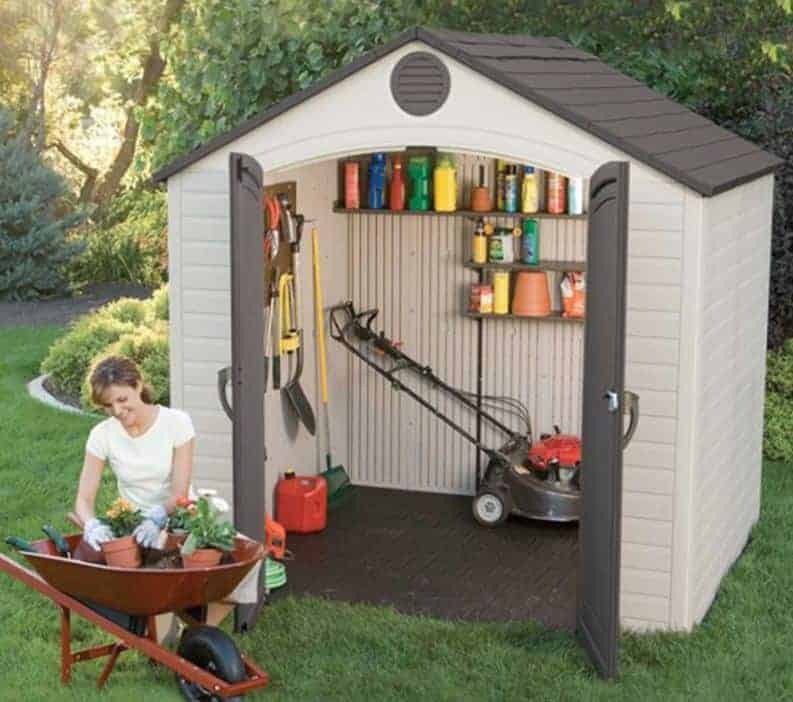 For those of you on the lookout for a shed with a modern design to help declutter your garden or just keep a few things safe, we highly recommend this. It does exactly what you would want it to do, is very reasonably priced and you are going to be able to make use of it for many years.